Welcome to the Sennelier Atelier. How to distinguish artist grade paint from student grade paint ? 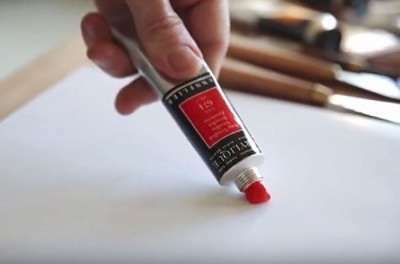 In this video, Yves-Marie Salanson, Sennelier artistic director, explains how to distinguish artist grade paint from student grade paint. 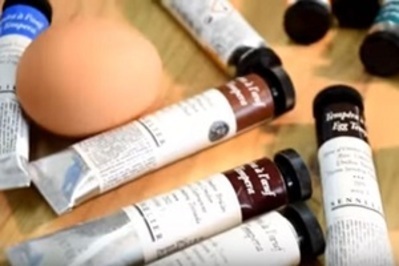 In this video, Yves-Marie Salanson, Sennelier artistic director, presents Egg Tempera paint with a special guest, Madeleine! Discover the Sennelier Artist Acrylic! How do we get textured watercolor ? First of all, you need to use the Semi-absorbent Gesso that you applied on a stretched canvas which is unusual for this technique. This Gesso is going to absorb watercolour in order to restore these effects. 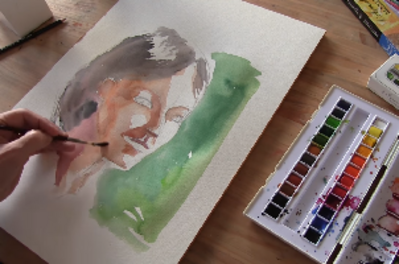 Sennelier artist watercolor, l’Aquarelle formula change! 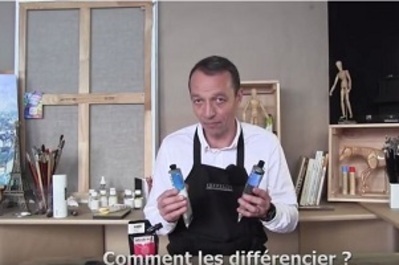 In this video, Yves-Marie Salanson, Sennelier artistic director, tells you about the Sennelier artist watercolor, l’Aquarelle, since its formula change in 2012.Sennelier artist watercolor existed before but did not have the success of the competing brands. Sennelier was best known for pastels or oil paint.